Funko has two new collectibles coming soon to stores. One is another Star Wars Movie Moments Pop set, and the other is the 45,918 Spider-Man Funko Pop figure (all numbers approx. ), this time from the upcoming (we think) Sony Spidey game. in Star Wars: The Last Jedi proves Finn is a true believer in the Resistance! can now be part of your Pop! collection! What is crazy about this Last Jedi Movie Moment is that after viewing the deleted scene I wish that had been in the movie instead! While I enjoyed seeing the fight between Finn and Captain Phasma, I loved the one they got rid of even more. It had more weight to it. Personally, I like the Throne Room sets coming out a bit more. Maybe we will get a set on Ahch-To with Luke training Rey and a few Porgs (wink wink Funko). This Spidey is awesome. I love the costume from the game, and the jumping action pose sets this one apart from some other Spidey figures we have gotten from Funko in the past. I know a lot of people are looking forward to the game, hopefully we can get more Pops from it like a new Miles Morales and a Mr. Negative. Could be kind of cool. 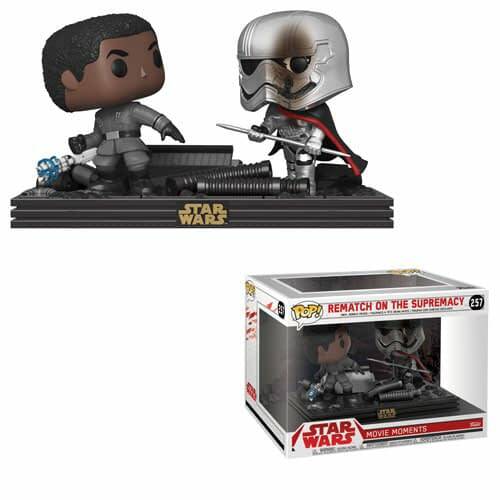 The Star Wars Movie Moments Last Jedi Finn vs Captain Phasma Pop set will be in stores in April and can be preordered here. 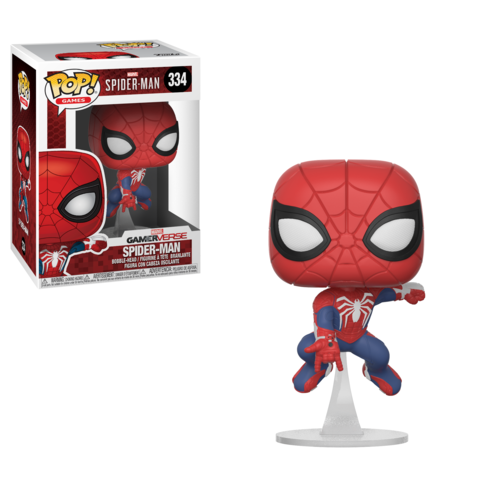 The Spider-man Gamerverse Pop will be carried exclusively in Gamestop stores and can be preordered here. iZombie Season 4: Did the Writers Name Liv's New Love Interest Based on This Ship Name?